I will never forget the day my husband proposed to me. I was in the basement doing laundry when my dog trotted down the steps. I gave him a scratch behind his ear and noticed the scarf around his neck with a note. As I read the note my heart started beating faster, I had to practice willpower and control. I wanted to run to where ever he was and say “Yes!”, but I somehow willed my legs to move at a walking pace. When I got to to the top of the stairs I turned the corner to find him on one knee with a ring. I smiled, he slipped the ring on my finger and I jumped into his arms. We were excited to share our happy news with friends and family, and within an hour of the ring being on my finger and a promise of forever nestled into my heart my nearest and dearest were asking me if we had registered anywhere. I assured my loved ones that when we registered it would be at Target. Choosing Target as my store of choice for a wedding registry was easy thanks to the Target Wedding Catalog! Target has pretty much everything a newly married couple would need to begin their life together. My husband and I loved having friends over for dinner parties when we were engaged and newly married and Target had everything we needed to make memorable parties. I got my first set of pots and pans, gorgeous wine glasses which we toasted with many times and everything required for setting a lovely table from my Target Wedding Registry at Target. No matter how you and your fiance like to entertain, there are many options at Target to fill your registry with that will be perfect for your new life together as husband and wife. Target Wedding is sponsoring a super fun $25 Target gift card giveaway! To enter, you will need to visit the http://Target.com/wedding page and then leave me a comment telling me which product is your favorite from the Target registry! Don’t forget to copy and paste the URL of the product in your comment! You can tweet out this blog post once a day for additional entries – just remember to leave me the URL to your tweet in a comment! This giveaway is open to US residents and ends on February 17th at 11:59 PM EST! « Sweeten up your kitchen with a KitchenAid Mixer Giveaway! I like the Calpahlon Stainless Steel cookware! my favorite product is the keurig home brewer system. I love the Rachael Ray cookware! It’s so pretty, and I’m sure it’s great quality. I love the Kitchenaid mixer! I have had my eye on a Kitchen Aid mixer for a LONG time! I’m loving the Rachel Ray cookware set with the cool orange handles! I love the calphalon stainless set! stainless is always i kitchen essential!!!! I would like the Chevron Comforter – White. I like the Nespresso Pixie Espresso Machine because everyone can use a great Espresso maker! I think it makes a classy gift. My daughter is getting married in June and she needs cookware. So I would like to get the Kitchen Essentials 10 Piece Cookware Set Calphalon. Would love a pink Kitchenaid Mixer. I would get the KitchenAid Mixer on page 4 of the catalog in Contour silver. There is so many uses for one. I would get the Rachel Ray hard anodized 10 piece cook set! 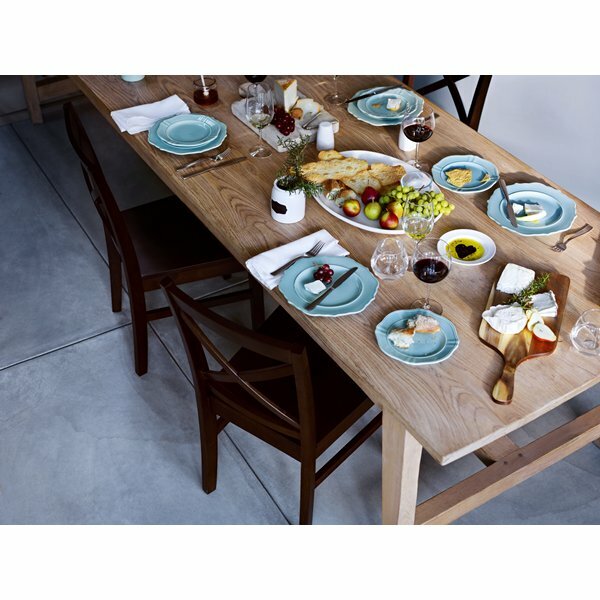 My favorite is the Threshold 16 Piece Coupe Dinnerware set: http://www.target.com/p/threshold-16-piece-coupe-dinnerware-set-white/-/A-14172066_120905123000. Thanks for the giveaway! My favorite item is the Dyson Animal Vacuum. I would love to have one of these someday. I love the KitchenAid 13-Cup Food Processor. The Keurig would make a great gift, http://www.target.com/p/keurig-k75-single-cup-coffee-maker-platinum/-/A-12920021?lnk=atc_overlay. Thank you!! http://m.target.com/p/keurig-k10-mini-plus-brewer/-/A-14783678. I like the mini keurig in red. this mixer in red would be great. The Weber® Performer Platinum Charcoal Grill is awesome! My favorite product is the Keurig K65 Special Edition Home Brewing System! I like this mixer in Ice Blue! I love, love, love these Squish Measuring Cups. I love the Kitchenaid Mixer. http://wedding.catalogs.target.com/#/page/12 – I like the red handled Kitchen Aid knifes in the block with the kitchen scissors, etc. I also like the red cast iron Calphalon dutch oven baking dish, so useful and pretty!